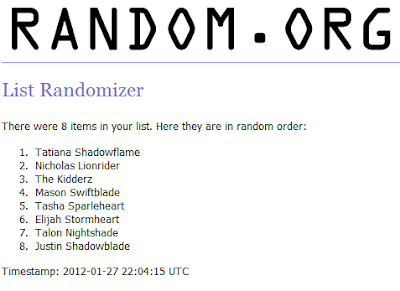 Contest Winner, Spiral Live, W101 Insider, Transformations, New Level70 Gear! If you remember in my last MEGA POST I mentioned that I was having a contest which you had to find the difference in the two photo's of me and Jason from Swordroll. First off I had tons of feedback for this Contest which I am so happy about XD As you can recall, the prize was a Hoard of your choice. That means a Dragon, Wyvern, or Raven Hoard. Well let's get onto the good part shall we. Congrats Tatiana Shadowflame! Since we are already friends in game just tell me which hoard you want and I will gift you it. It's January 28th which means it's Episode 13 of Spiral Live :D Sadly I won't be hosting tonight because I am out of town but Nick will still be hosting :) make sure to listen in LIVE at livestream.com/spirallive at 8:30 EST. In other news, Wizard101 Insider is back up and running! There is tons f new stuff and I highly go check everything out. Add me as a friend - Blaze S.H. On the topic of the Crowns Shop, KingsIsle has released tons of new level 70 gear!!! There is a outfit for every school and then an outfit for anyone.